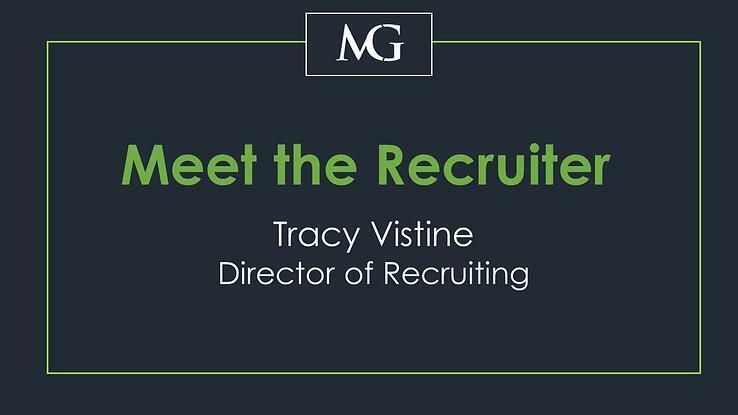 Tracy Vistine brings more than 10 years of experience in financial staffing to her role as the director of recruiting for Messina Group. Tracy joined Messina in 2005, and under her recruiting direction, Messina’s Financial Temps division has consistently provided clients with top-tier financial and accounting talent for their staffing and consulting needs. Here's her story. Have you always working in the staffing and recruiting industry? No, I actually started my career in the retail industry. After college, I enrolled in the management training program at Gap, but soon realized that I didn’t want to stay in that field because of the work schedule. I started applying for new jobs, and eventually found a position as a recruiter at a financial services company. At the time, I didn’t even know what recruiting was, but it was the only interview I went on and it sounded interesting so I decided to take it. How did you make your way to your position at Messina Group? My position at the financial services company was tough. I was recruiting entry level candidates and it was 100% commission based, which made it very hard to have consistent compensation. When I was finally ready to make a move, I decided that I wanted to stay in recruiting but try a different company structure, which is what led me to Messina Group. I applied to a recruiter position they had available, interviewed and got offered the role in their Financial Temps division because of my prior experience. What has made you want to stay at Messina for this long? Comfort, as well as excitement. I love the people that I work with and I love that my job is always changing. I’m constantly dealing with new candidates, clients and positions that make each day a little bit different. I’ve also learned so much about various jobs and industries that I would have otherwise never known about, which I really enjoy. How has your role at Messina changed over the last decade? My role at Messina has changed so much in the last 11 years. Not only has my specific position changed from recruiter to recruiting manager to director of recruiting, but the company’s direction has also changed significantly. When I first joined Messina, we only offered temporary staffing services for our four major divisions. After our leadership change a few years ago, we expanded our services to included contract-to-hire and direct hire placements, and started staffing in the IT and digital marketing industries. The company is in a completely different space than it was even five years ago, and it’s been fun to be a part of the transition. What has been the biggest challenge for you so far at Messina? I would say the most challenging thing I’ve been through at Messina was our leadership change. Even though a change like that can be good for a company’s future, as an employee, it’s still scary to go through because it leaves you with so much uncertainty. Not only do you have to get comfortable working with a new CEO and company structure, but you may have to take on new responsibilities as well that can drastically alter your daily responsibilities. For me specifically, I feel like I got a brand-new job three years ago because our company operates in a completely different manner. While there will always be things I liked about our old structure, our company has changed for the better and my professional experience has grown immensely throughout this transition. What is your favorite thing about working in the recruiting industry? I love making the perfect match. I get a true sense of accomplishment and pride when I find the perfect job for a candidate and the perfect employee for our client. Recruiting can be very rewarding in terms of feeling like a you made a minor difference in someone’s life! Interested in working with Messina Group's recruiting team? 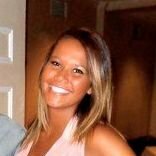 Courtney Clemmons is the Content Developer for both Messina Group Staffing and Messina Group Consulting. Before moving into her role on the Marketing team, Courtney began her career as a Recruiter working on contract, contract-to-hire and direct hire positions for Messina’s Engineering, Manufacturing, Laboratory, Marketing and Financial staffing divisions. Courtney is a graduate of the University of Wisconsin – Madison with a BA in Journalism. Next Article Working with Messina Group: Bill S.